Guest post by Ellen Ross. 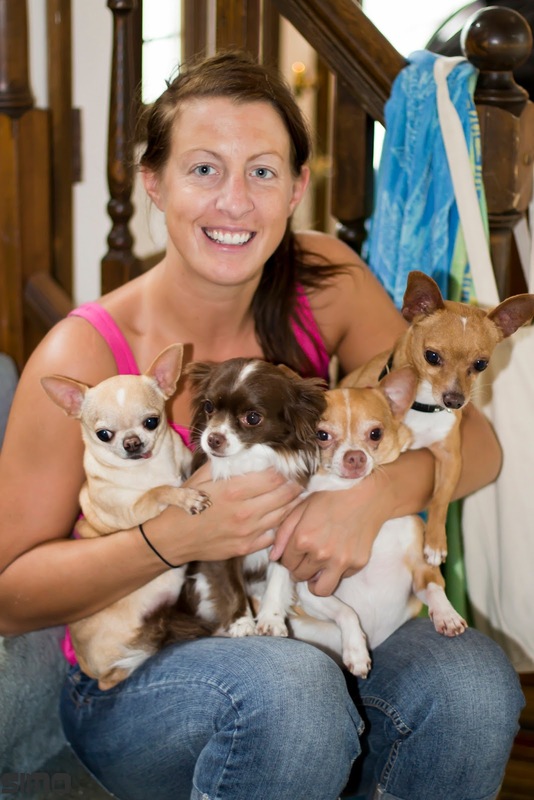 She's been coming to PawsAbilities for several years with her adorable Chihuahuas. Be sure to check out her blog at www.askawayblog.com. When I first heard about PawsAbilities, I was super excited to see it for myself. After my first time there in 2008, I find myself going back every year and my experience is better each time. I will not attend an event that is the same year after year, so that says a lot about how exciting PawsAbilities can be! Doggy Olympics – For $1 a game, you and your pooch can participate in fun contests such as Musical Hoops, Fido Says, and the Clean Plate Contest! It’s adorable to watch and this year I think I will actually participate! Pet Parade – All sorts of categories can win a prize so whether your dog has floppy ears or just drools a lot, make sure you participate so you can have a chance at winning. Biscuit Bite-Off – If you enjoying baking a new recipe for a dog treat, you can enter it in the contest by registering here. One of my favorite parts of PawsAbilities is the variety of vendors that come each year. I take advantage of this event to stock up on healthy, homemade dog treats and adorable clothing from dog boutiques. It’s also a great time to find breed-specific goodies and decorations for your home. In the past, I have purchased adorable clothing, delicious treats, quality collars and leashes, and picked up pamphlets on different dog-related services and organizations such as grooming and photography. This year, PawsAbilities will be on March 9 and 10 from 9 a.m. – 4 p.m. so be sure to mark your calendars and purchase your tickets! Even if you don’t purchase anything or participate in any of the events, it’s a great family friendly excuse to get out of the house and bring your dog along. There are food vendors and activities for children, and if your dog makes a mess, they even have people walking around cleaning up the mess! Plus, how can you say no to something that benefits the Susquehanna Service Dogs? I know several people whose lives have been touched and changed by having a service dog to get them through their everyday struggles. Oh, and of course, I’ll be there with my Chihuahuas! Ellen Ross write on her blog Ask Away, an advice and fashion blog, where she posts about life, love, fashion, fitness, and a variety of other topics. She lives in Carlisle, Pennsylvania with her 4 Chihuahuas and works for the Pennsylvania Department of Health. You can read her blog at www.askawayblog.com. PawsAbilities Giveaway: Win Two Free Tickets! Meet the G.B. Stuart Foundation Puppies!